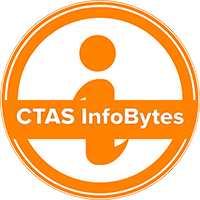 InfoBytes are bite-sized presentations on topics and issues of interest to county officials. Each InfoByte is interactive, including slides containing written information accompanied by an audio presentation, interspersed with questions to demonstrate the participant’s understanding of the materials. InfoBytes offer a quick method of learning about a specific topic. Most InfoBytes take approximately 10-15 minutes to review. InfoBytes are informational only. Training credit is not awarded for their completion. Diversity & Inclusion - New! Why Don’t We Govern Together? What is an Operating Budget? - New! How an Operating Budget Gets Approved - New! TN Public Safety Behavioral Health Act - New! School Safety Act of 2018 - New!